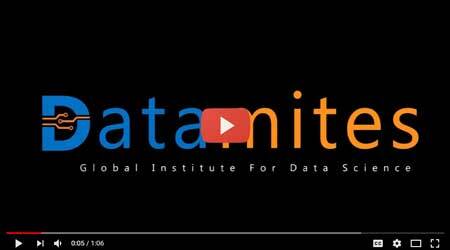 DataMites's “Business Statistics" course ensures that you learn the practical implications of this statistical tool and excel in all of its concepts. This course does include case studies for a detailed understanding and real time experience. After mastering this important statistical concepts with DataMites's Business Statistics course, you will be joining all the high end Data scientists and decision makers who are successfully shinning in their career by using Minitab to analyse and visualise the business data. Why this course “Business Statistics"? Utilising this Minitab strategies to derive useful insights from raw business data is possible only by individuals who have completed this specialisation course, which is well understood by all the companies. Hence, choosing this course is the best choice to see a boom in your career. Our well structured “Business Statistics Minitab” course curriculum along with the flexibility of attending the virtual online sessions from your convenient place can bring confidence to work on huge unstructured Business data easily. Understand and apply various Business statistical methods to derive at useful insight for the company. Have gained an in dept knowledge of all the concepts related to Business statistical analysis using Minitab, starting from beginner basics of understanding various data types to Hypothesis testing. This course is receiving a warm welcome from students and professionals in Quality, statistical and Business analytics field. Since thousands of organisations have already implemented Minitab in their business environment, the opportunities for Business Statistics Minitab specialists is seeing a steep growth. This course gives an edge in the job market for graduates as well as working professionals, dive deep into Minitab concepts to lay a successful career path. Who should choose this “Business Statistics” course? Minitab is a software designed to provide simple and effective solutions for Quality issues. So, learning this course not only benefits the candidates to effectively analyse the data but also benefits the organisation. This course is most suited for Business Analysts, Quality engineers, Quality system managers, Quality supervisors, Quality auditors, Freshers or IT professionals interested in learning data analysis using Minitab. Choosing a correct training provider is the most important step that you take while opting any course. You should definitely look into the key features of a training institute before opting one. Why DataMites for this Course - Business Statistics?